I guess I could’ve/should’ve used the sewing machine to make this, it would’ve gone faster. But I couldn’t be bothered, this weekend, to fire up the petrol generator (I live on a solar-powered boat) and make all that noise + use fuel, just to stitch up a soft toy–so this has been stitched by hand. 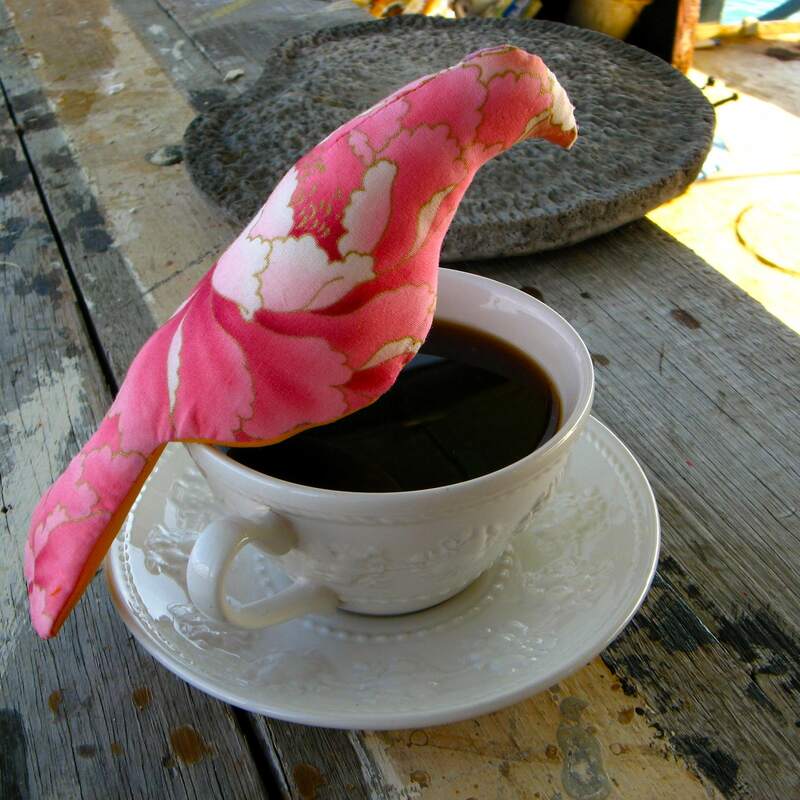 I found the pattern for this gorgeous little bird on www.spoolsewing.com and am grateful to the folks who have shared it so freely. I love the smooth simplicity of the form even better than if it had been more realistic (with wings, eyes and such, which idea I considered, but rejected in the end). There’s a Flickr group just for these birds, so if you download the pattern and try your hand at a Spool bird, remember to share it with other enthusiasts! 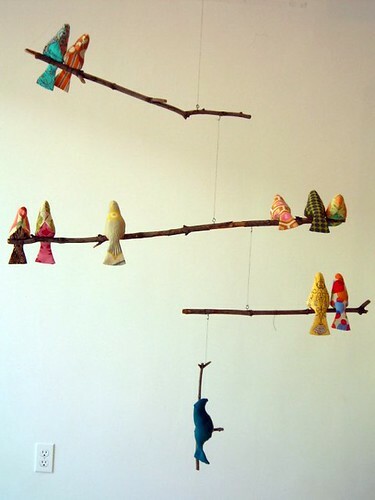 via Spool Sewing » Blog Archive » Bird Mobile. 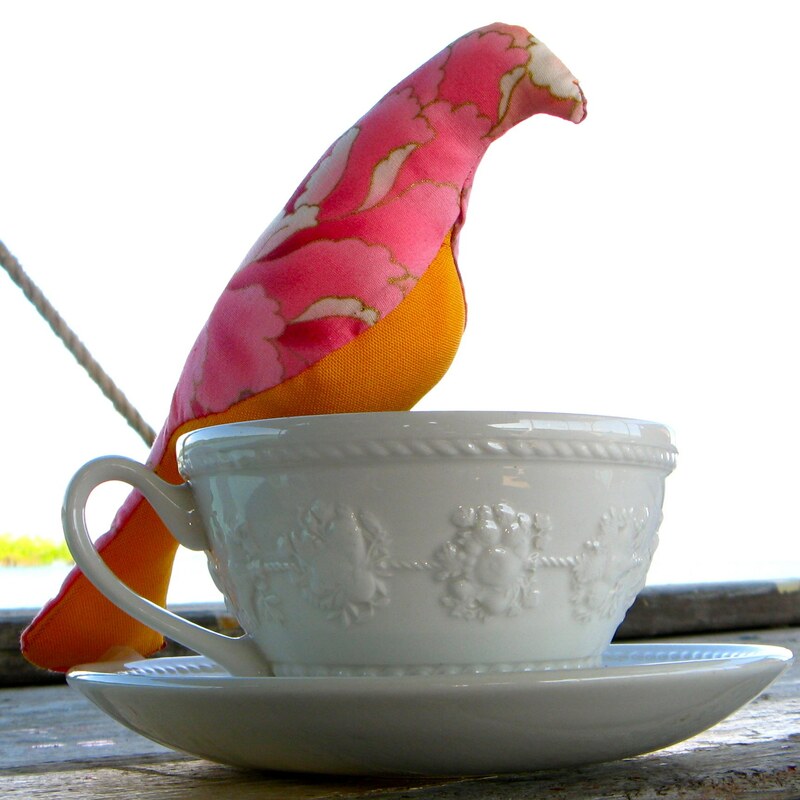 My best friend in Florida gave me one of these charming birds a few years ago, and I just met another bird lover, so I thought I would make one for her today. I was happy to find the pattern on line so quickly… now I can get started, and make several. Love the fabric you chose.